How Do People Actually Make Money Online? 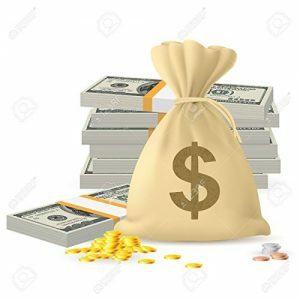 Okay so welcome to part 4 in my series of putting together the Ultimate Guide To Making Money Online. If you haven’t already read the posts prior to this one then I’d recommend you do so first, you can jump straight to the start of the guide by clicking here. Assuming you’ve read those points let’s dive in with today’s subject, AKA the biggy – “How Do People Actually Make Money Online?”. The reason I label this one as the biggy is because this is the question that actually spurred me on to begin putting together this whole guide together. I just don’t get it. I just don’t get how you can make money online. Where does the money come from? And it’s not just him asking this question, this is something many, many people are struggling to comprehend (and you reading this might be one of them). People seem to know that you can make money online, but they don’t seem to be quite sure how it’s done… or where the money is coming from. So in this post I’m going dive right in and explore all the different options you have for making money online – because believe me, there’s a lot! And which method you decide to roll with will entirely depend on what you ultimately want to achieve. Some people want to make a quick-buck, some people want something that’s not too time consuming or difficult but can supplement their current incomes & others want to go the whole hog and try and take it full-time. Whatever it is you are personally looking for, rest assured that I’m going to do my best to help you find the perfect solution right here in this post. Firstly we’ll start by talking about the methods of making money online for those who want to simply make a little bit of extra cash to supplement their current incomes without giving up too much of their time & without involving risk. If this is your aim, then the most appropriate thing for you will be what’s known in the industry as Get Paid To websites (or GPT for short). Get Paid To websites do exactly that – they pay you, either in cash or vouchers in return for completing menial tasks. They’re generally not going to make you any kind of life-changing amounts of money, but if you’re just after a little bit of extra without putting in a great deal of effort they could be just what you’re looking for. >> Click here for a list of Get Paid To (GPT) websites. Now if you’re still not wanting to put in a great deal of effort, but aren’t afraid of a bit of risk, and want something that’s potentially more lucrative then online trading might be the solution for you. As I’ve just mentioned this method of generating an income does come with risk, but using social trading sites like eToro that risk can be drastically reduced. The other huge benefit of social trading sites is that you don’t need prior trading experience or knowledge. It’s simply a case of logging in, watching what others are doing & learning from the experts. If you like, you can literally log in & simply copy the trades that the professionals are making & profit on them for yourself. 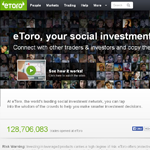 >> Click here to take a look at eToro. Another alternative that could prove to be more lucrative than GPT websites is something called matched betting. 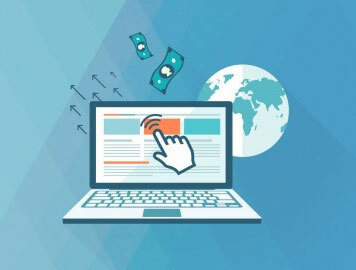 This is a concept that can initially take a little bit of time to get your head around, but these days there are several websites that make it a lot easier to get the hang of & it’s something that can definitely provide a healthy profit. Technically when it’s done correctly there shouldn’t be any risk involved with matched betting as you’re essentially covering all the odds of losing. However, the reason I’ve listed in this section under “methods with a little risk” is because at the end of the day there could be the potential for you to do it wrong & end up losing money. If matched betting sounds appealing to you & you’re interested in the concept of “beating the bookies” then click the link below to find out more information on how to get started. >> Click here to find out more about matched betting. Now those methods we’ve just talked about above are about as “hands-off” as you’re going to get when it comes to making money online. As I say they’re probably not going to generate you life-changing amounts of money (although trading & matched betting can be pretty lucrative for some), but they aren’t going to take up a great deal of your time either. >> Click here for some more “hands-off” ways to make money online. Now if you’re wanting to generate a more modest amount of money, you’re going to have to prepared to put in a bit more work. And you’ve also got to realise that as we talked about in the first post of this series, the internet is fantastic tool but it isn’t magic – so chances are you’re not going to see results overnight (sorry for bursting your bubble). The truth is that you might not actually see results for quite a while, so that’s also something you’ve got to be prepared for too. But let me tell you this, once you do start seeing results there is no feeling like it & cracking the ability to generate an real income from wherever you can get an internet connection is just the most awesome thing in the world. No words can describe the amount of freedom can bring to your life. So basically what I’m trying to say is that whilst it might seem painstaking & overwhelming at first, it’s definitely worth it in the long run… So whatever you end up doing, stick at it because believe me – it will pay dividends in the end. One great way to take your income to the next level from home is by starting an online shop – this is often a popular choice for fashionista’s opening their online boutiques but it’s something that anybody and everybody has the ability to tap into… and you don’t necessarily even have to create your own website to do so. Keep it old school and use platforms like eBay & Gumtree (still reasonably profitable depending on what it is you’re selling). Try out a social buying & selling platform like Depop, which is an App for iPhone & Android. Take it to the next level (and then some) by creating a professional looking store using Shopify. It’s worth noting that those methods listed above are for people who have their own products to sell – whether those products be physical or digital. If you don’t have any products but still like the idea of owning an online store & making money from it then you’ll be glad to know that you can still can by selling third-party products as an affiliate instead. This way you don’t have to handle orders or stock, but chances are you will have to create your own website. >> Click here to learn more about starting your own affiliate web-store. If you’re not interested in creating a shop online, but are still interested in building a more modest income online then something you may want to consider is starting a blog. Blogging is certainly not something that will make you rich overnight (especially if you’re brand new), but writing about a hobby or interest can certainly be fun, and providing you keep at it then over time it will almost definitely become lucrative to at least some extent. In fact blogging is actually one of my number 1 recommendations for anybody that’s looking to build an income online & has a few hours to put aside to keep on top of it. There are so many great things that can come from blogging aside from just building an income, such as..
You have the opportunity to build yourself up to becoming an authority in whatever topic it is you decide to blog about (this has a lot of value). Blogging itself can be very rewarding, as you get the opportunity to help others (sometimes without even realising it). It’s a great way to network and attract like-minded people (I personally have made several lifelong friends via my blog). You can use it as a platform for future ventures (for example maybe you don’t want to start a fashion store right now, but when you decide you do your fashion blogs going to come in hella’ handy). …and back to the topic of making money, you can make (potentially a lot of) money blogging too. >> Click here to find out how to build a blog that makes money. So maybe in that case you’d like to make some money with social media? There’s a lot of people out there making good money from social media alone, but ultimately how lucrative it is totally depends on what kind of following you have, how engaged your followers are with you & a number of other factors. Overall it’s not massively complicated to make money from social media & it’s something pretty much anybody can get involved with. It will generally involve making product recommendations for advertisers & promoting their products via your social feeds. This means that most of your time will be spent reaching out to advertisers & finding the right products/services that suit your audience. If that sounds like something that you’re interested in click the link below to find out more. >> Click here to find out more about making money from social media. If you’re still scrolling & nothing this far has taken your fancy, then maybe “vlogging” is something you’d like to consider. Vlogging, also known as video blogging is super easy & is something that with dedication you can certainly make a modest income from. It’s literally a case of point, shoot & upload. Vlogging follows the same concept as a blog, only that the medium used is video instead of text. It’s become hugely popular and as YouTube is actually the second largest search engine in the world it can be relatively easy to attract an audience & quickly gain a strong following. If making money “vlogging” is something that interests you then click the link below to find out more & see how you can get started. >> Click here to find out more about vlogging. Don’t forget that you can always combine any of the methods that I’ve listed above too (and it’s generally recommended that you do so). You don’t have to approach it all guns blazing right from the start as chances are you’ll overwhelm yourself, simply roll with one method until you master it & then introduce the next alongside it. It’s always a good idea to run several things together as it aids the sustainability of your online business as well as increasing your room for potential profit. But I’m afraid that this is the part of the post where I’m going to have to tell you that if you’re all the way down here & absolutely nothing at all that we’ve spoke about has interested you, then unfortunately I’m out of ideas. 4 Responses to "How Do People Actually Make Money Online?" Just been scammed by Brit Method to the tune of over £2000 I am not going to give up. Will have a go at something else when I get my money back and my card. Hi Frank – yes I remember you saying already on my other post. In case you didn’t see it, here’s the guide I recommended that might help you get your money back.